Tesla CEO Elon Musk said last month that the company's stock price was "more than we have any right to deserve." Tesla shares have spent most of 2013 in overdrive. On Tuesday, they hit the skids. Shares of the electric-car maker fell more than 11% Wednesday following third-quarter results that underwhelmed investors. Tesla (TSLA) shares have risen more than 400% this year, a pace that's difficult to sustain without consistently wowing Wall Street. All in all, it wasn't a bad quarter for Tesla. The company's earnings, excluding special charges, came in at $16 million, or 12 cents a share, just ahead of the 11-cent estimate from analysts. But including those charges, such as stock-based compensation and interest expenses, the company lost $38 million. Craig Irwin, an analyst at Wedbush Securities, said the stock was likely falling due to concerns about Tesla's gross margin, which was 21% when the benefits of California's zero-emission credits are excluded. "I think it's an overreaction," Irwin said. "Across the board, it was a pretty solid quarter." The company hopes to raise the margin figure to 25% in the fourth quarter, Tesla CEO Elon Musk said in a call with analysts Tuesday afternoon. Tesla recorded over 5,500 third-quarter deliveries of its luxury plug-in sedan, the Model S, exceeding its own projection of 5,000 in August. The company raised its overall 2013 delivery target to 21,500, up from a previous estimate of 21,000. "We really are production-constrained, not demand-constrained," Musk told analysts, saying the biggest impediment to increased production was a limited supply of battery cells. The company recently inked a deal with Panasonic to expand battery production, he added. "I think we'll see some relief on that constraint next year," Musk said. The Model S -- the only car Tesla currently sells -- has so far received wide acclaim, winning "Car of the Year" honors in 2012 from both Motor Trend and Automobile Magazine. Consumer Reports said the Model S the best car it had ever tested. Tesla reported its first-ever quarterly profit in May, and followed that up with another strong performance in the second quarter. But the stock's rapid rise this year has led to questions about whether it's overvalued, and whether the company may be too dependent on California's credit system. Musk warned last month that investors may be getting carried away, saying the company's stock price was "more than we have any right to deserve." 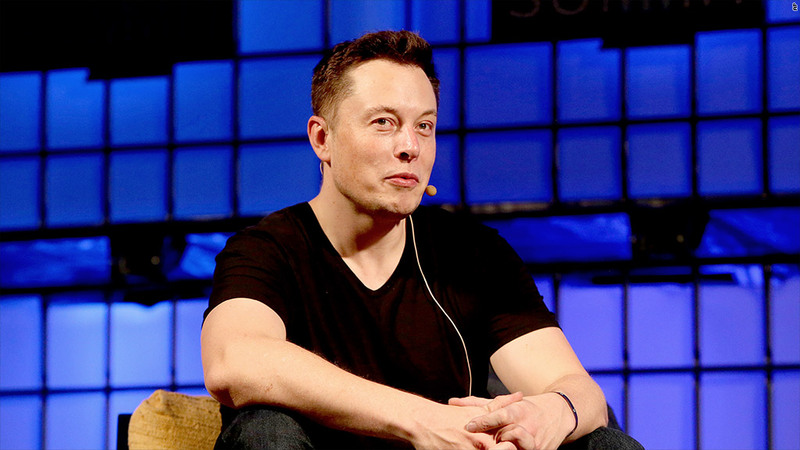 Musk, a co-founder of PayPal, also heads the commercial space travel firm SpaceX and chairs renewable energy company SolarCity (SCTY). - CNNMoney's Ben Rooney contributed reporting.